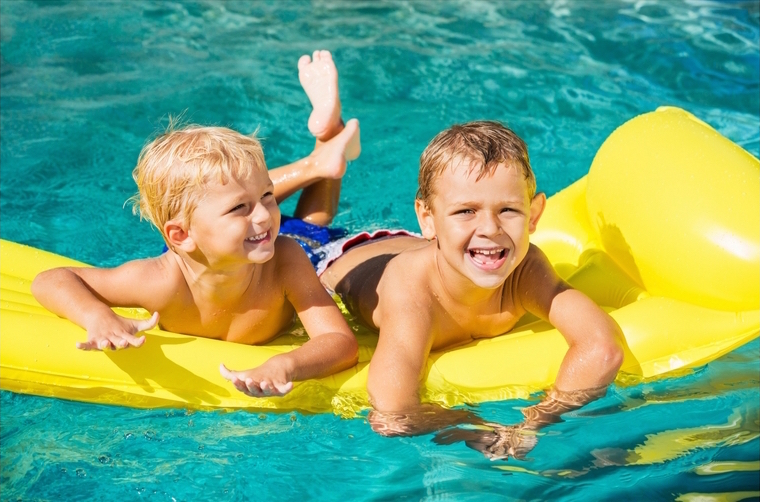 Summer: the time for family vacations, playing in the pool, and relaxing. But it’s also the perfect time for something else─getting braces! A bit of a learning curve comes with braces. Brushing teeth is a little more involved, as is flossing and other aspects of care. In the summer, there is usually more time available to get into this new routine. It also doesn’t hurt for your child to have a little guidance from you and a watchful eye to see how they’re developing these new habits. If they can establish a new routine during the summer, they’ll be much more likely to continue good habits when they have less time to think about it. Once the hectic pace of school starts, this can all be a little more difficult. Although current orthodontic treatments have minimized much of the physical discomfort of getting braces, young gums and growing mouths can still feel a little sore and achy after first getting braces. Dealing with soreness will be a lot easier at home instead of sitting in a classroom trying to concentrate on school work. Once they’ve been on for a few days, braces are designed to be totally comfortable. At the beginning of orthodontic treatment, several appointments are usually necessary. The consultation, the initial bonding of braces, etc. At the start, you’re teeth will often move quite a bit. Occasionally, an adjustment will need to be made that requires another appointment. Summertime usually means you have a lot more flexibility and time for scheduling appointments. School has ended, and the extracurricular activities, school meetings, sporting games, practices─all of those school year commitments and events, are usually on a break too. This allows you to schedule these beginning orthodontic appointments with a lot less juggling. After those first few longer appointments are taken care of, the following routine check-ups are quicker. Those will fit more easily in your school-year schedule. Besides getting used to the different feel of eating with braces, your child will need to start eating soft foods at first. When they’re home in the summer, they’ll be able to start eating soft foods and then slowly move to harder foods. By the time school is back in session, they’ll be eating normally. Besides the eating and oral hygiene adjustments that we’ve already discussed, braces just feel different at first. At the very beginning, kids may be uncomfortable, talk a little funny, and feel a bit self-conscious. All of this usually goes away quickly, however. This adjustment can be a lot easier at home during the summer. Of course, you can get braces at any time of the year, but summer is ideal. You have more flexibility for those beginning appointments and more time to adjust to the braces before school starts. If your child is going to need orthodontic treatment, call today to schedule a free consultation appointment with Dr. Brown.